A unique diamond ring setting can give your wedding band or engagement ring a gorgeous one-of-a-kind look. From antique elegance to sleek modern style, there's a setting out there that's perfect for your unique personality. If you want to stand out from the crowd, choose a setting that attracts attention while showing off the beauty of your stone. If you love Art Deco style or antique jewelry, you'll love a setting reminiscent of the 1920s and 1930s. You can find antique ring settings in vintage jewelry stores, or you can use a reproduction antique setting to get the same look. Even though round brilliant cuts and princess cuts are the most popular diamond shapes, you can stand out with a setting designed to accommodate fancy shapes, such a pear cut. Look for a setting that plays up the unusual shape of the diamond by using accent stones and engraving or filigree. If you're looking for a truly unique diamond ring setting, consider having your ring custom made. You can express yourself with a piece that really is one of a kind. When jewelers custom make rings, the entire setting is crafted by hand. 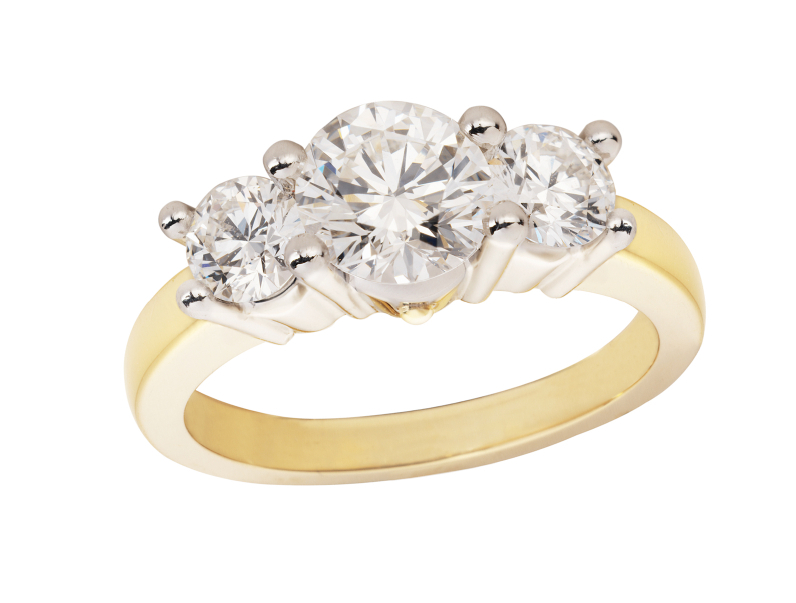 You can be very involved in the design process, and this is a great way to get a ring that really fits your personality. If you love flowers, a unique setting choice might be a floral ring. Inspired by roses, lilies, and other blooms, these diamond rings offer a touch of sparkly feminine style. You can find flower settings in white gold, yellow gold, and platinum. Unique setting styles aren't limited to engagement rings; you can also find unique settings for diamond wedding bands. Consider a modern band studded with small diamonds for a contemporary artistic look. Unique rings don't have to be ornate. A simple pave band would make a unique choice as an engagement ring or wedding band, while still providing plenty of eye-catching sparkle. When buying a unique diamond ring, it's important to see how the setting looks on your hand. If possible, try it on at the jewelry store. That way, you'll know you have a unique ring you'll love for decades to come.